Diamondslim - is designed for people who need to lose at least 30-35 lbs. It's quickly break down fat in your problem areas and start weight loss with quick results from the first day you take it. 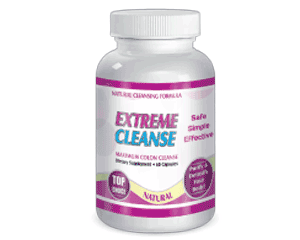 It is works right away to suppress your appetite, speeds up metabolism and melt away your excess body fat. The amazing about Diamondslim is no weight rebound. 1. Boosting fat metabolism and blocking the non-fat material converting into fat. The functional ingredients will maintain the balance of body calories intake and consumption, control the intake of extra calories, block non-fat material converting into fat and boost fat metabolism. Diamond slim burn the fat continuously. Hence, the volume and content of the fat cells in vivo can be maintained and continually reduced. The unique mechanism of maintaining can both block the fat source and accelerate the fat metabolism. The metabolism is based on the number of calories we burn throughout the day. Our body constantly burns calories to keep us going whether we are eating, sleeping, cleaning etc. Clinic experiments have proved that Diamond slim could speed up metabolism by as high as 10 times. This is a key of this product to burn the extra fat through the form of heat production. 4. Diamond slim is pure herbal essence, promoting satiety and controlling the fat intake effectively. The raw materials are extracts of cassia seed, coicis seed and mulberry leaf. The glucomannan in the product can absorbe water. A viscose solution will quickly form after intake of the product, which attaches to stomach lining and stimulates it to restrain appetite, promote satiety and control the fat intake. Colon cleansing helps to remove toxins from your body, it promotes healthy intestinal bacteria and it boosts your energy while enhancing your immune system. Fore best results take diamond slim & Cleanse together. 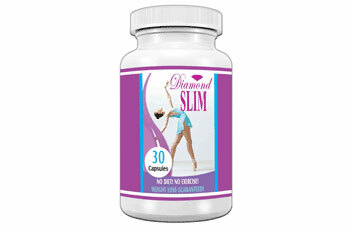 Take 1 capsule of the diamond slim 15-20 minutes before breakfast. After dinner you take 2 capsules of the Cleanse. (30 pills in 1 bottle) 350mg x 30pcs Usage & Dosage: 1 capsule/time (before or after breakfast) 1 time/day. Storage: Store in cool, dry and dark condition. (room temperature) Shelf Life: 24 months. * Diamond Slim Slimming Capsules are not applicable for people younger 16 or older than 65 y.o. * Do not take Diamond Slim Slimming Capsules if you have high blood pressure, cardio - vascular disease or apoplexy, kidney or liver dysfunctions.